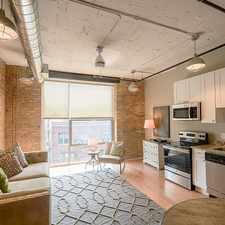 Urban Abodes is a nine minute walk from the Brown Line and the Purple Line at the Wellington stop. This apartment is in the Lakeview neighborhood in Chicago. Nearby parks include Evergreen Park, Wenat Park and Lincoln Park. Urban Abodes has a Walk Score of 97 out of 100. This location is a Walker’s Paradise so daily errands do not require a car. A True Gem In Lakeview! Unforgettable studio in the heart of Lakeview! 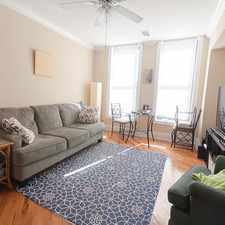 Unit features brand new kitchen, dishwasher, new bathroom, high ceilings, awesome closet space, hardwood floors throughout, easy street parking, pets welcome, laundry room in building, and more! Walking distance to popular restaurants, nightlife, transportation, and more! UA1701 Won't Last Long! Urban Abodes has excellent transit which means transit is convenient for most trips. Car sharing is available from Zipcar, I-GO, RelayRides and Getaround. 721 W. Barry compared to all of Chicago. How do you feel walking near 721 W. Barry? Urban Abodes is in the Lakeview neighborhood. Lakeview is the 14th most walkable neighborhood in Chicago with a neighborhood Walk Score of 91.